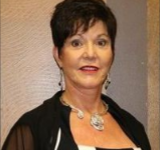 Owner / stylist- Linda is a certified hair replacement therapist, hair color specialist and clinical skin care specialist. She is the current owner of Linda Arnold & Company in Auburn, Alabama; as well as LA Concepts in Panama City Beach, FL. With 40 years of experience and 35 plus years as a business owner, Linda strives to stay knowledgeable of the industry through continued education. Linda's experience includes learning the industries' latest trends by studying in London, Canada, and Spain. Linda is also working to complete her degree in tricology. She believes that when passion and desire come together, you have a career, not a job! Linda's passion is to share her knowledge with young, new, fresh talents. Being licensed for over 8 years has fueled Amanda's passion for the hair and beauty industry. Mastering a wide range of techniques including cutting, up-dos, and short hair. With a passion for color, Amanda uses a wide range of products including Paul Mitchell, Thermafuse & glo Essentials to obtain that special hue for her clientele. She specializes in cutting edge color techniques, foil high and low lights, and color corrections. Amanda's belief in continual education drives her to stay at the for front of her field. 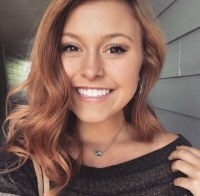 Through continued education, Amanda prides herself in being abreast of the latest styles and techniques in hair cutting - from fashion and modern cuts, to razor and kid's or men's cuts. 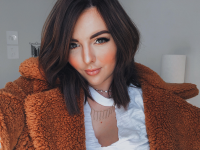 Up to date of the newest services and products available today, Amanda can take care of all her clientele's needs, helping you obtain the look you want. Continued education is key to providing your clientele the latest styles and products. 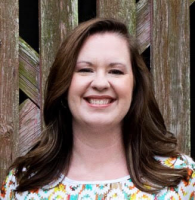 A native of Opelika, AL; Amanda Dupree graduated from Ballard Christian School in 2004. 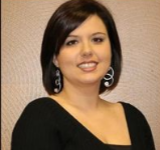 Continuing her education at SUSCC, Amanda obtained her degree in Cosmetology in 2006. In 2005, while still at SUSCC, Amanda worked as a makeup specialist at Belk, working for Estee Lauder, Clinique and Lancome. Upon graduation from SUSCC, Amanda began her cosmetology career. Specializing in body waxing, and Forever French acrylic nail, Amanda joined our wonderful staff in 2012. Ever since Amanda joined our staff, she has began taking continued education courses to update and add to the knowledge and services available to her clientele. Married to Jay Dupree in 2005. Amanda loves caring for her husband and their two small children. 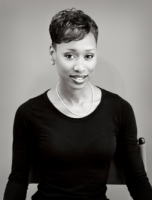 Born and raised in Tennessee, Margie Phillips has over 6 years of experience in the hair industry. She graduated from Alternative Visions Hair Academy and is both a stylist and colorist. She has been trained by Linda Arnold in Hair Replacement and performs services for clients suffering from hair loss offering services of hair loss therapy and consultations for chemo patients. She is married with four children and lives in the Salem, AL area. Growing up in the salon is where my passion for hair began. From having my first ever job being a shampoo assistant where I learned from great stylists to graduating and receiving my own cosmetology degree, I have loved every minute of it. I'm now specializing in hair coloring, cutting, waxing, formal styles, and makeup application and constantly updating my education! My goal is to always care for each client individually and create a unique look and experience for everyone. From playing hairstylists with her Barbie dolls to working in her Aunt’s salon, Kiesha was inspired by her mother’s business expertise and her aunt’s skill in the salon. Kiesha holds a Business Management Degree from Alabama State University and is a licensed Master Cosmetology Instructor in Alabama and Georgia. With over 10 years of experience in the beauty industry Kiesha specializes in all hair textures, precision cuts and commercial extensions. Healthy hair is good hair, whether chemically treated or natural, you can count on Kiesha to give you the best care for your hair. With over 24 years of experience to offer, Christy is someone who gives 100% of herself everyday to her clients. 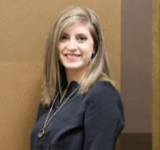 Christy specializes in precision cutting and with her artistic vision and impeccable attention to detail enjoys working with clients to come up with styles individualized to their needs. A master of her craft, she keeps up with the latest techniques and hair. She is constantly working on her own innovative techniques always pushing the boundaries of hair. She continues to improve her skills through training with online educators. Whether you want a contemporary classic cut or a funky avant-garde style, you are sure to be pleased with the experience you have with Christy as well as the result. Kate studied at John Cassablanc Institute in Canada. She is a professional make-up artist and specializes in eyelash extensions. Dermablading is another service that Kate excells, leaving you with a beautiful natural shaped brow. With a passion for beauty, you can be cofindent that Kate will enhance your features with her remarkable talent. Master Hairstylist and Advisory Board Member for the School of Cosmetology at Southern Union State Community College. He specializes in custom hair cutting and styling, color, foil highlighting, formal styling, and precision brow shaping.Bradley has over 20 years experience including education with domestic and international artists. Maria has been doing hair for over 25 years. She brings her spunky personality into every aspect of her craft. She hails from Florida and epitomizes the "Sunshine State". She specializes in all the latest color and cutting tecniques and can work with any texture hair with great skill. She also loves doing event hair and makeup, along with being trained in all skincare techniques. Maria is always continuing her education and trains under domestic and international beauty industry educators and professionals.